While we finally got an opportunity Monday night to meet Richard Castle’s father, it was basically so light of a taste that both we and fans around the country are still hungering for more. 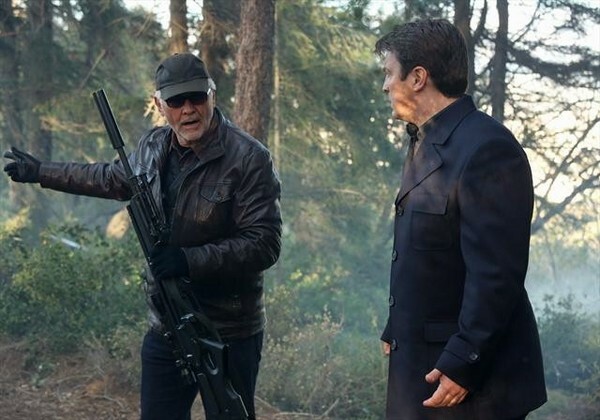 So is James Brolin going to return to “Castle” anytime soon, or at least be a topic of conversation? While doors are certainly open for something down the road, it does not appear as though the character is going to be back in at least the immediate future. If we had to guess as to what executive producer Andrew W. Marlowe is planning when it comes to Castle’s father, he wants to leave some story in his back pocket when it comes to the character for a future season or even the finale. This is similar to what he has done thus far with Senator Bracken, even though part of the mystery surrounding him is already resolved.